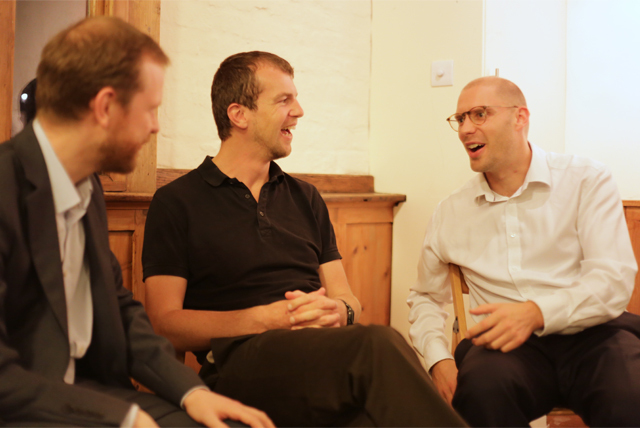 "Working with Chirp was a really effective way of challenging us to do things differently." We work particularly with organisations seeking change, helping you lead with influence, communicate with clarity and take more strategic risks. Whether you're a leader engaging with change or a team wanting to innovate faster, our work enables you to think clearly, behave differently and thrive. Our work often involves experiential tools like singing and conducting. These tools engage your intellect, emotions and physicality simultaneously, helping you gain deeper self-awareness and insight into interpersonal dynamics. Our tools also create a degree of risk and exposure, enabling you examine your response to uncertainty and vulnerability back at work. With expert facilitation, we help you gain critical insight into your own and others' behaviour, and learn new techniques to lead with greater influence and clarity. "The Chirp session was brilliant, if not a little daunting! Not only was it a great team event, but an incredibly useful way of challenging us to be bolder, more confident and take a few risks." 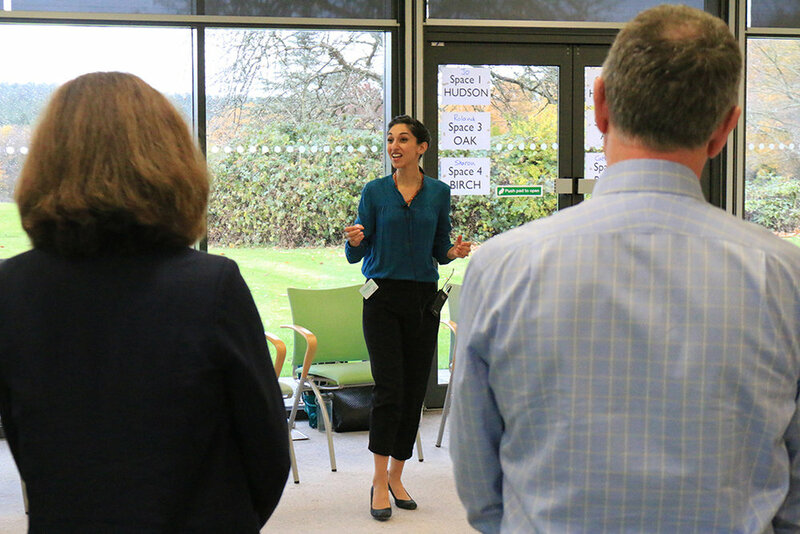 We work with organisations, leadership institutes and individuals, deliver conference sessions, and collaborate with academics on research into leadership, resilience and social intelligence. Find out how we use singing – and why it’s so effective – here. And see what our clients say about us here. We work with organisations of all sizes, across all sectors, and with individuals at all stages of their leadership careers. We understand that our clients are unique, and work in close collaboration with you to understand your needs and deliver programmes that meet them effectively. At Chirp, singing is a tool. Our sessions are designed to develop leaders, not singers, so no musical ability is needed to benefit fully. Our accessible and inclusive style ensures valuable learning for all. Chirp is run by our Director, Kamala Katbamna, MAC. Kamala is a coach, facilitator and consultant who works with senior leaders across the private, public and third sectors. She specialises in helping clients develop self-awareness, challenge assumptions and lead change in themselves and their organisations. An inspiring speaker and facilitator both in person and online, Kamala's energising approach ensures sessions are both effective and fun. Kamala is a Member of the Association for Coaching. Our team of experienced associates spans a broad spectrum of expertise in leadership and organisational development, enabling us to deliver bespoke solutions that meet your needs precisely. In 2016 Chirp won the Award for Excellence in Professional Training & Development at the AI Business Excellence Awards. Thanks for joining us. If you're new to Chirp you might like to check out our blog, resources, or what we do.